Roots and culture play a bigger role than you may realize. One of the things which I love most about my community is the cultural presence. I believe that every community should celebrate culture because it truly is a vital part of people’s identity. A few days ago I went to a cultural festival which I had never been to. I was nervous by the fact that I may not be accepted but my friend, as always, dragged me into coming. On the car ride over I was not very sure if I would feel welcomed into the new environment. What happened when we got there was everything opposite to what I was fearing. When I got there I was immediately accepted and welcomed. I made new friends in a matter of minutes. It was truly wonderful. I had a great experience and I got to learn about a whole new culture and make friends in the process. This is why culture and heritage are so amazing. You get a chance to explore and learn about amazing stories about yourself and other’s past history and origin. You also get a chance to make friends along the way. A community that acknowledges and respects the culture of its people is a magnificent community. Richmond hosts various cultural events and the great thing is that everybody is welcomed. Anyone is allowed to attend these festivals and learn more about these cultures. It gives many people a chance to broaden their cultural lens. Each year an annual Indian festival is held to celebrate Indian culture. It’s open to anyone and everyone and it is one of the biggest celebrations of Indian culture that Richmond hosts. It consists of food, dances, and a plethora of other activities. I go there every year. The reason I find myself going back to these events and going to other cultural events are not only because they are fun, but because they give me an opportunity to learn more about my culture and about other cultures. Having cultural events like these grow communities and make them stronger. Culture to me means so much more than what I can describe in words. I think knowing about your heritage and where you come from truly revolutionizes the way you see problems and the way you live your life. Also, I think that experiencing other cultures can open your perspective on the world and that experience is priceless. That is why I see culture as a very valuable thing. Unfortunately, culture is sometimes attacked. Recently there has been a lot of hate being directed towards the Muslim and other communities and a lot of false statements being made about these communities. It is not right to make false statements about a community and to disrespect it. Attacking someone’s culture is never right. We know all too well about the Christchurch attack in New Zealand and the events that unfolded there. 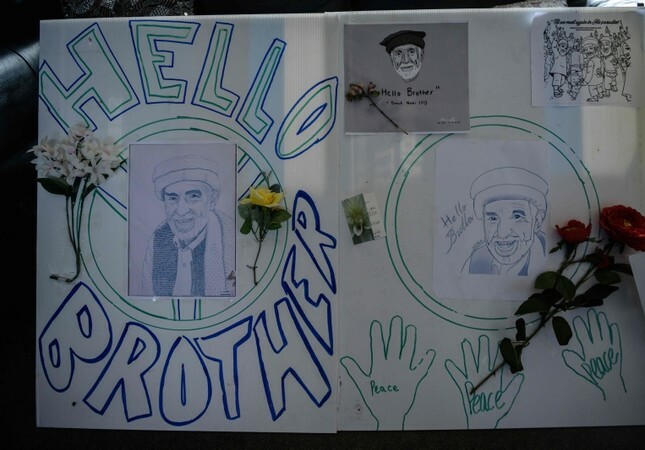 What you may not know is that a Muslim worshipper, who was among the first people to be killed in the attack, said “Hello, brother” to the attacker just moments before he was shot dead. Mohemmed Daoud Nabi’s words countered the hatred of the shooter. His final words continue to echo throughout New Zealand. His words showed that he was a member of faith and welcomed all its members. He showed openness, and care. After the attacks, people of each and every culture gathered together to stand with the Muslim community. They stood together, stronger than ever, to show that New Zealand would overcome the struggles. The reason I bring this up is to show how important unity and culture is during times of need and to show that every culture deserves respect. During times of chaos, you can rely on your roots and heritage to guide your decisions. That’s what Mohemmed Daoud Nabi did and he will forever be remembered for that. Culture is a very powerful thing and I think all communities should celebrate it. I am very lucky to be living in a community where culture is a centerpiece of daily life. My community has fueled my interest and encouraged me to experience as many cultures as possible in my lifetime. I want to travel the world and I want to see how others live and I want to hear other’s stories. Hearing other’s stories about their heritage and culture can be so powerful and impactful and I believe that everyone should get a chance to do that. Recently I got a chance to interview my parents about their heritage, culture, and journey from India to the US and I was able to learn about another side of my parents which I had never known before. I got to hear their amazing stories and the struggles that they went through when they came to America. They had to adapt to the new culture, new language and the new place. One of the things that they told me, which stood out from the entire interview, was that they never forgot their family and their culture, their roots. Culture and your origin encompasses you and make you who you are and losing that is like losing yourself. In conclusion, I think culture means unity, hope, and most importantly peace. With this post, I want to ask you the same question and I want you to truly take a moment to think about your answer. What do your culture and heritage mean to you?